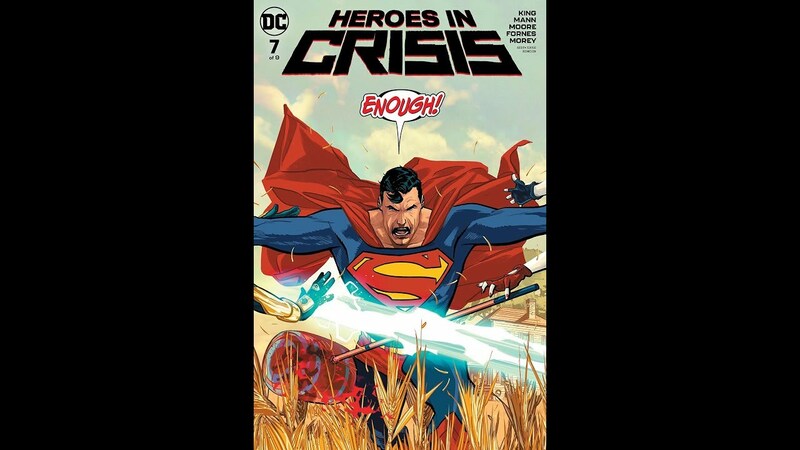 Heroes in Crisis for the uninitiated is the 9 part mini-series by Tom King and Clay Mann put out by DC Comics. It is about mental health, Post-Traumatic Stress Disorder, a feeling the Post-Traumatic Growth is coming…and a little place called Sanctuary. Oh and there is a temporal murder mystery as well. What is not to love as walls of stigma are shattered by the biggest heroic names of Flash, Wonder Woman, Superman and Batman? 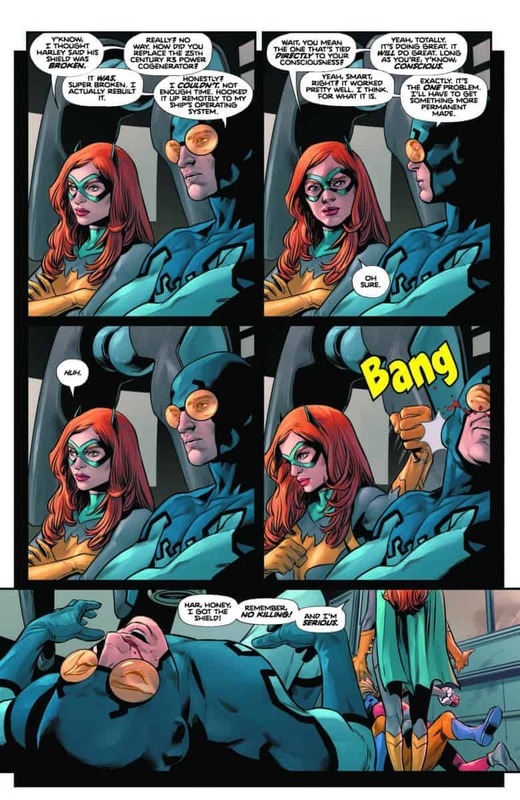 The mystery is deepening as Blue & Gold (Booster Gold & Blue Beetle) meet up with the Dynamicker Duo (Harley Quinn & Batgirl) on the run and trying to sort out the truth (spoiler: the body of Wally West was 5 days older than the day it was found). Wally’s story is unfolding of his weeks in Sanctuary treatment, 1, 2, 3, 4. It is a real time look at what happens when one opens themselves up to the healing process. There is a euphoria of the good, a leveling out, a time of more intense sorrow than can be explained (tears are healing)…and then it is like being in the eye of a Hurricane…and eerie calm that you just cannot explain but are waiting for the other shoe to drop. It creates a different kind of anxiety within your system. It is not driven by flashbacks, grief, physical-emotional-mental pain. It is literally driven by the fear that you are becoming you again. That the trauma you are moving through, you are growing and changing for the better. Healing. In that healing though the new grief anxiety grows as you realize that change is coming. Change triggers grief. Your entire system is used to running in the PTSD heightened sense of being, and it is possible to baseline back to you. Can you handle it? What does it mean to no longer have your pain control you? But to integrate it healthily and move forward? In Wally West’s case, returned from the Speed Force or where ever he was trapped due to Flashpoint and the New 52…it is the healing fear, of moving on from not having his family, Linda (his lightning rod) and Jai/Iris (his kids) and all the Flash family. As he noted in an earlier issue, “I am starting to forget”. The healing crossroads, to choose the new life, or abide in the pain trauma or to simply cease. For those who may not get the rhythm of healing this issue could appear quite uninspired, but it is in its pacing that the true ending of stigma of mental health abides. Okay so it finally happened. Pardon me while I fan-boy more than a little. Growing up one of my fav titles was Justice League International (then Justice League America and Justice League Europe); aside from G’nort, the cat, General Glory, Martian Manhunter and his Oreos to name but a few. 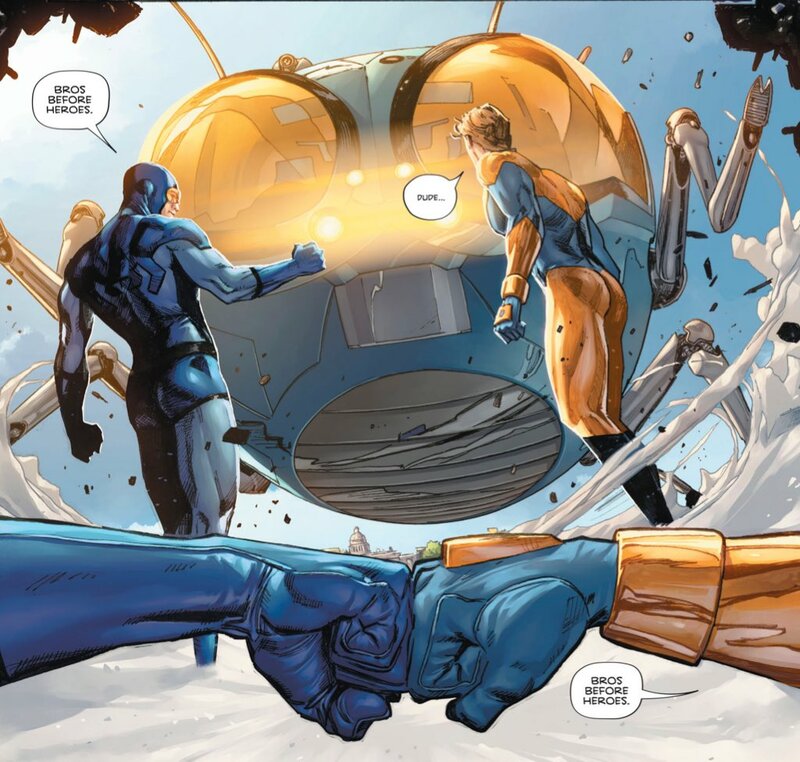 What was remembered most fondly, and hardest to capture since was the camaraderie and fun of Blue & Gold (Blue Beetle & Booster Gold). Then we enter into the fourth crisis issue, where friendship emerges, and Ted Kord is back in the blue (and alive). As we continue to go deep into who is the murderer? Who has succumbed to the darkness? What is happening with the coping of PTSD like symptoms, and with the Puddler source, what will the world think of their heroes humanized? Will mental health stigma still reign? And Harley Quinn gets a partner in truth discovery, from an unlikely source in the damaged by Joker department. T o the hardest hits being what happens when a young hero who has grown older discovers that he has lost his friends. One that he just recently discovered he had regained- Garth (Tempest, Aqualad) does what many will do with pain instead of seeking aid. Crawl into a mind altering substance, for this swimmer the choice was into a bottle. And Donna Troy (Wonder Girl) playing designated carry home. But the most gut wrenching scene being Green Arrow and Black Canary in a very Ollie and Dinah scene honouring the life of Roy. The human touches. Asking the deeper questions… what happens when the only way that a hero can find help is taken from them? 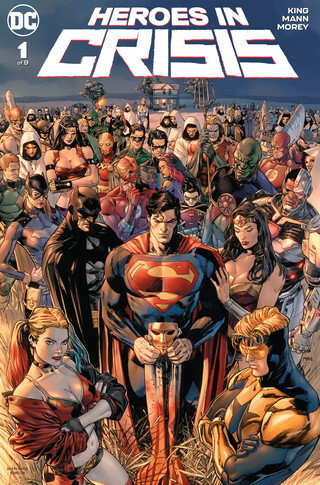 What will happen with the fall of Sanctuary and the revelation that it was not anonymous– what effect will this have on the health of the holistic health of the heroes, the Trinity and the Justice League. As Blue Beetle would say, for him it was having the one person you knew you could call and they would answer. Do you have that one person? Created with Kryptonian Crystal technology; Batman ingenuity and Wonder Woman’s compassion it is Sanctuary. A place where heroes can come to heal from the unseen wounds inflicted on them in the life. The grief, the traumas, the vicarious traumas or the simple processing of the WTF moments. It is a place that gives you what you need most and to be where you need to be most to hopefully become whole once more. 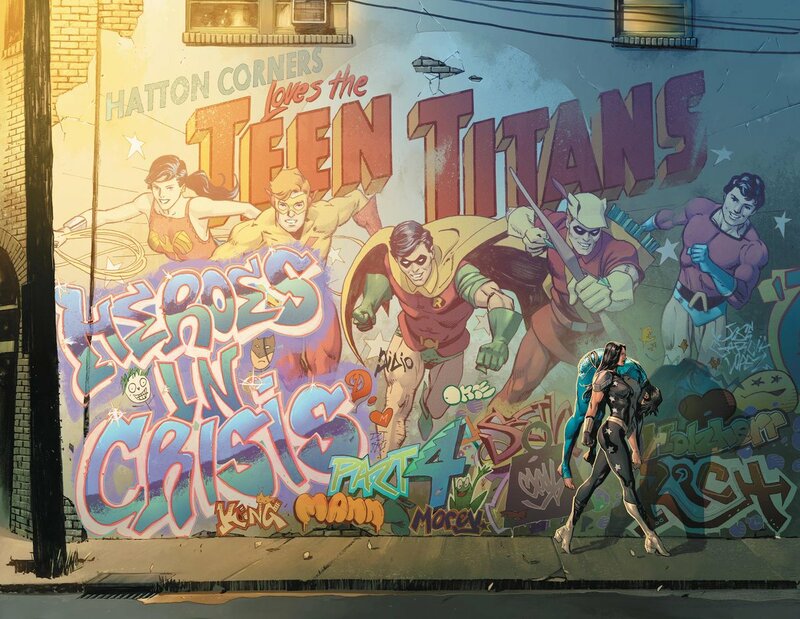 King and Mann’s Heroes in Crisis has been a brilliant series thus far in removing the stigma of human services mental health issues for the workers. Let’s be honest, if Batman and Superman can let down their masks and seek help, then so can we. The murders. But is it real? One does not know as we go down the murder mystery rabbit hole. But this issue’s real story is Wally West, he was the 3rd Flash in the pre-New 52, Post-Crisis on Infinite Earths DCU. Wally was a cocky fortune seeking side kick that grew into a super hero as he took up the mantle of Barry Allen who died to save the universe at the end of the Crisis. Wally was a hero of my generation (and yes he was my flash). It was the story that saw Jay Garrick (Flash One) become a mentor; his future nephew Bart Allen as Impulse; other speedsters- the Zen Speed Master, Max Mercury; and the Quicks (Jesse and Johnny), it was a series that showcased the beauty of the legacy super hero heritage. It also featured the Rogue that became a hero in Pied Piper (and the greatest casual scene ever, way before its time, when Harley comes out to Wally as gay). But at its core the family became real. To escape the Speed Force, Wally realized his lightning rod- Linda Park-West, his wife. His soul mate, that which made him better. They would become parents of meta children- Jai and Iris. Then Reverse Flash and Barry Allen (yeah he finally returned from the dead literally decades later) created Flashpoint— and the New 52–time was lost– and no more Wally West. Then Rebirth…and Wally is back…. 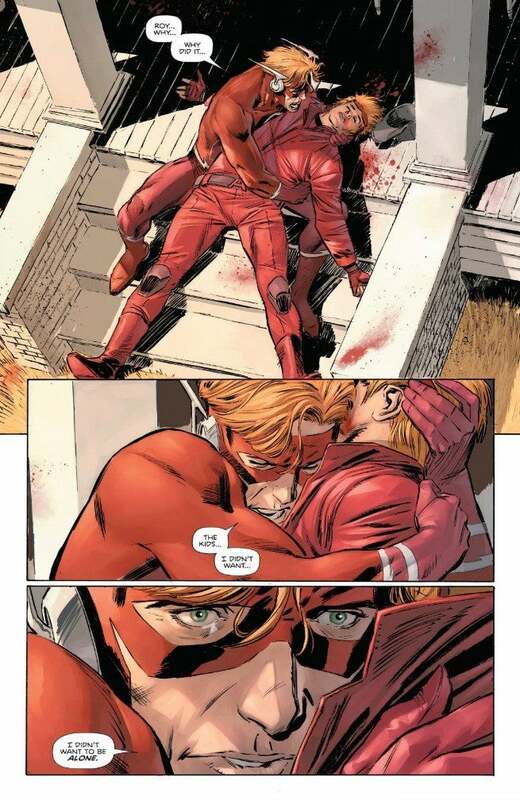 It appears Wally is a victim of the murderer at Sanctuary. Where he was working through his grief at loss of his whole family. Grief at loss of literally his whole universe. 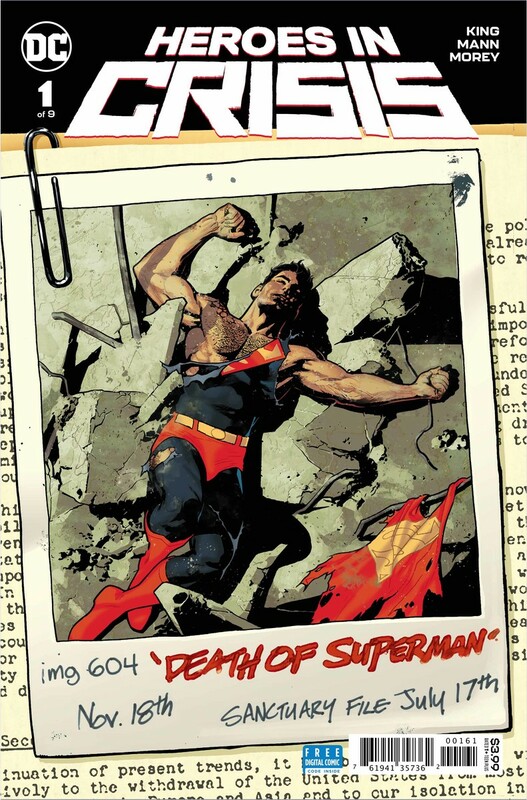 Being in a world that he was not just a man out of time (New 52 removed 5 years of comic time); but literally out of multiverse. I didn’t want to be alone. The simple refrain of grief. The learning on how to move forward into the new reality before you.